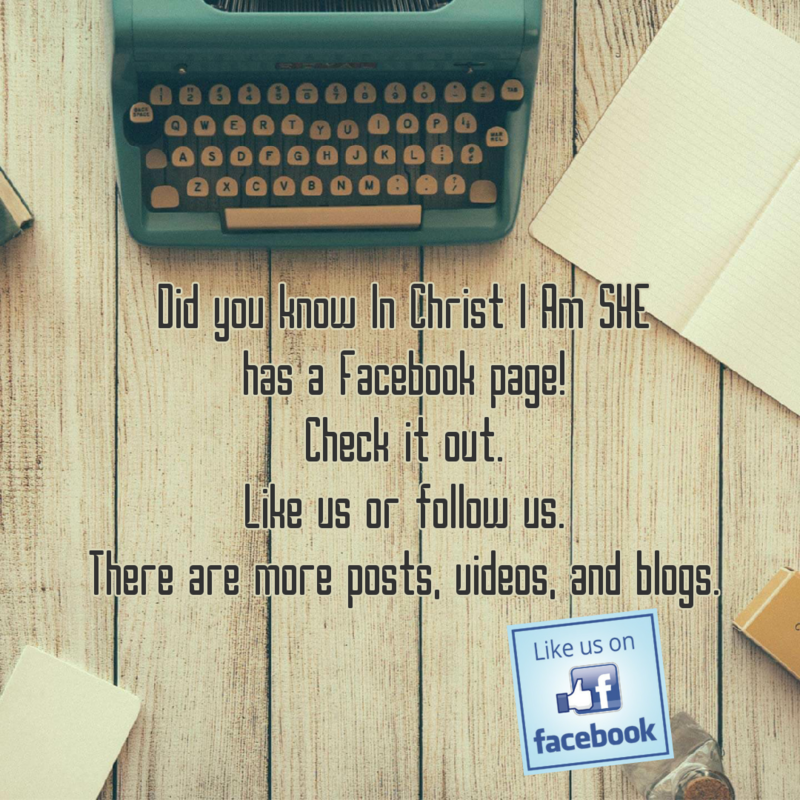 Not sure if you knew that In Christ I Am SHE has a Facebook page so I wanted to share that info with you. Invite your friends and get the word out. Praying you have a God-focused day.